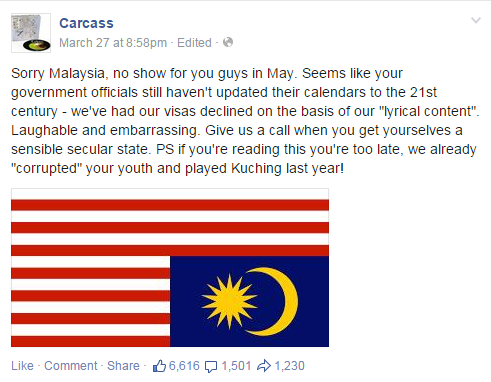 Carcass, an extreme metal band from Liverpool, has angered many Malaysians when they posted a picture of Malaysian flag upside down on their official Facebook page. The British band failed to get visas for a show from the government, hence the reason for venting out their dissatisfaction on their Facebook page with the upside down Malaysian flag. 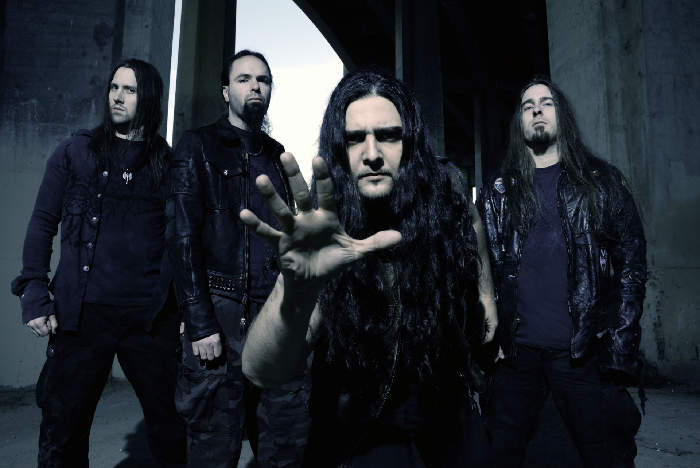 “Sorry Malaysia, no show for you guys in May. Seems like your government officials still haven't updated their calendars to the 21st century - we've had our visas declined on the basis of our "lyrical content". Laughable and embarrassing,” read the Facebook post. 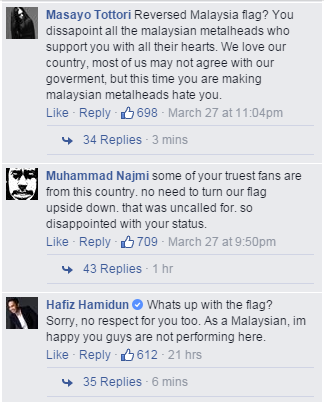 The post angered and disappointed many Malaysian fans of the band, and many commented that the upside down flag was unnecessary and disrespectful.